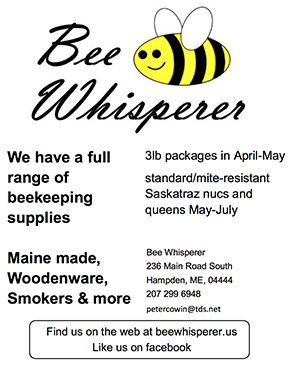 travels around the United States promoting the honey and beekeeping industry. supply; these important insects pollinate approximately one-third of everything that we eat. a WKTJ radio interview and emphasized varieties of local honey. beekeeping and invited interested festivalgoers to attend the local beekeeping class. wildflower, cranberry, buckwheat, and creamed honey. The American Honey Queen recommended cooking or baking with darker honey varietals to emphasize the flavor of honey in their dishes; to further promote using honey, she handed out recipes. Young and old alike were surprised to find the difference in the unique types of honey! Working with Lincoln Sennett of Swan’s Honey, she provided an introduction to beekeeping across America to over thirty new beekeepers. During her year as the American Honey Queen, Lisa has traveled to 20 states speaking on behalf of the American Beekeeping Federation. At all events, the junior at Purdue studying Agriculture Communication encourages people to support the United States’ approximately 200,000 beekeepers and to purchase local honey.